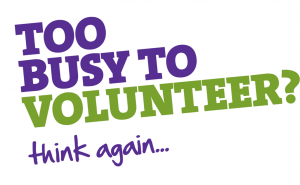 There are many volunteer roles available within scouting and our group. If you are interested in seeing what you can do to help please contact Darren our Assistant Group Scout Leader on 07463 747 899 or email recruitment@3rdkillingworthscoutgroup.uk. 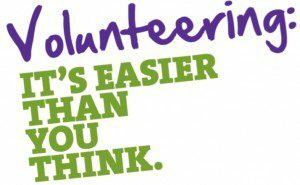 Roles range from committee members to parent helpers and uniformed leaders, it doesn’t matter how much you do, every little helps! Their motto is ‘Fun and Friends’ and Beaver Leaders help them achieve that through facilitating a wide range of activities leading to the Chief Scout’s Bronze Award. Other than a sense of fun, no special skills are required, but many skills which you have will undoubtedly be transferable. Much can be gained through exchanging ideas with other leaders. A great part of helping Beavers is that they are very receptive to new ideas. Believe it or not, you don’t have to work with children to be a volunteer for Scouting. We need someone to help with the planning and administration. Things like organising trips and outings, making telephone calls and keeping records of who has what badges. It’s a vital job that means the adults working in Cubs have more time to spend at what they do best: working with the children. Yes, we want someone to boil water. and probably in the rain. We want you to boil water to cook the spaghetti, that goes with the Bolognese sauce you made, on the camp stove you are now boiling the water on! Camp cooking is a great laugh, good fun and really is as simple as boiling water. Building dens is a real treat when you are nine, and even more fun when you are an adult! We need you to come along to Beavers, Cubs or Scouts and support our young people. Not just build dens, but help do map work, craft, walking, hiking and even make stuff from bits of wood (we call that pioneering.) What we need is an extra pair of hands to help the leaders provide these fantastic activities. ARE YOU A MONEY-MAKER EXTRAORDINAIRE? Can you organise fundraising events that inspire the whole family? Could you help us to organise four small events a year? We need you to help our fundraising team to stage fun and family friendly events that can raise funds for our Group. Every penny we raise is used to support children, so whether it’s bingo or a barn dance the choice is yours! Our Beaver Scouts have! Our Scout meeting place has been a beach, the surface of the moon, and even a pirate’s lair. The only limit is our imagination as we plan our activities. © 2019 3rd Killingworth Scout Group. All Rights Reserved.